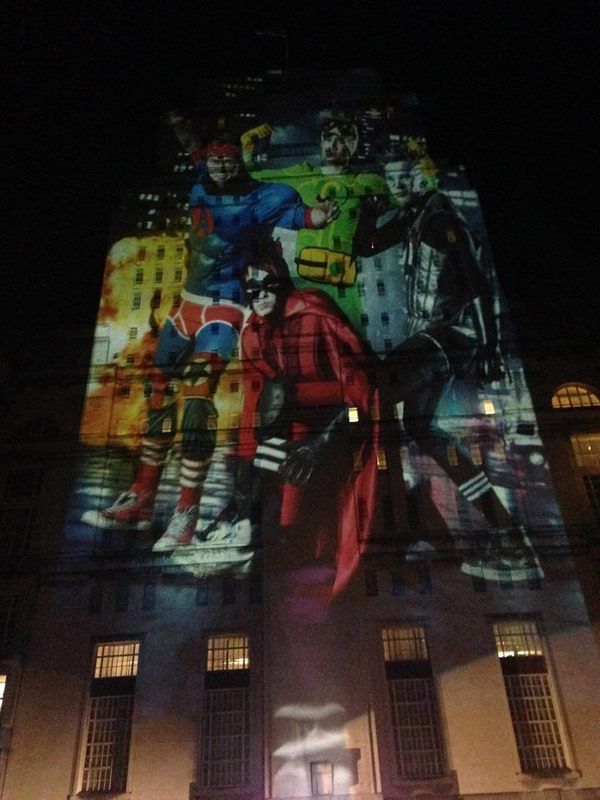 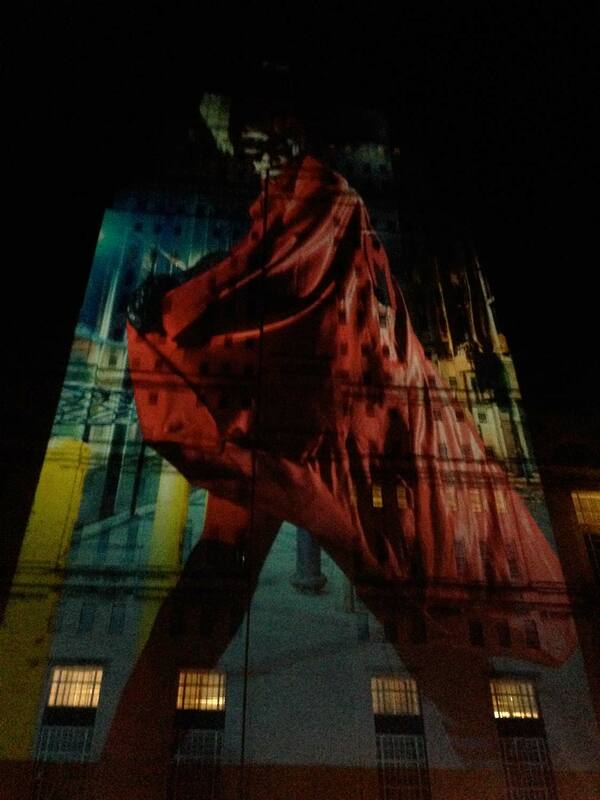 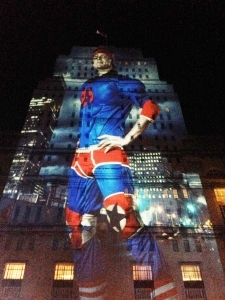 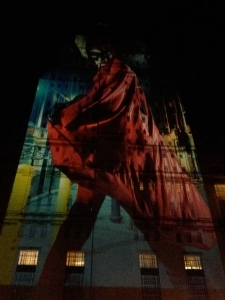 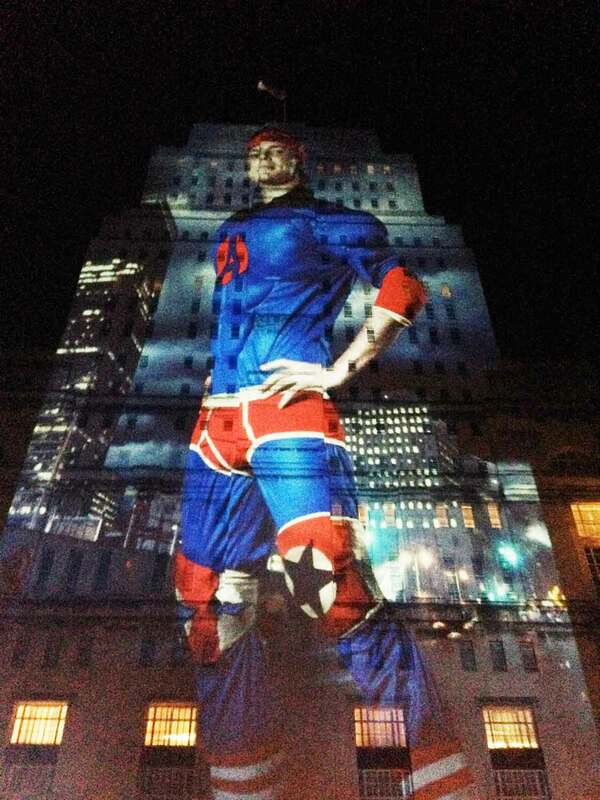 Rowleys:London and iFX Media projected onto the University of London’s Senate House for a dramatic stunt promoting 5 Seconds of Summer’s debut album. 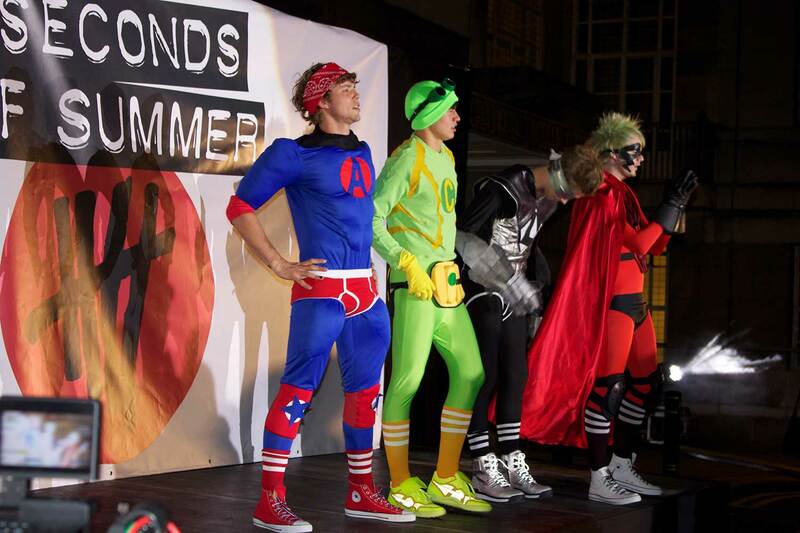 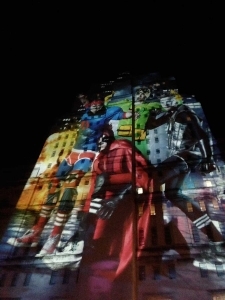 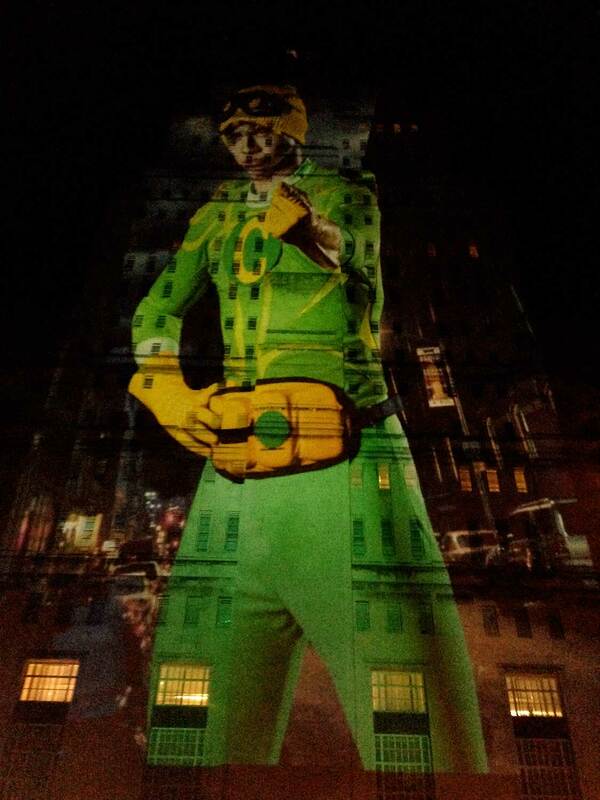 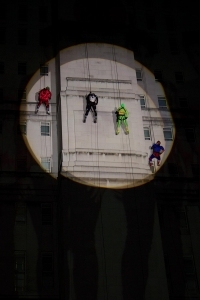 The Australian four piece, who’s debut album hit #1 spot on iTunes in over 69 countries, morphed into their superhero alter egos to abseil down the 19 storey building before posing with the projections for photographs. The band shared some candid shots on their Twitter accounts on the night, garnering over 30,000 retweets and 55,000 favourites from adoring fans around the world.